Type 2 diabetes is a condition that can be prevented and treated naturally. 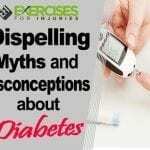 The alternative therapies for type 2 diabetes are not widely reported, but they’re extremely effective, inexpensive and safe. Type 2 diabetes is a metabolic disorder of the body that causes high blood sugar and insulin resistance or insufficient production of insulin. According to the National Institutes of Health (NIH), type 2 diabetes affects more than 382 million people worldwide. Type 2 diabetes was previously called adult-onset diabetes. However, due to an influx of children being diagnosed with type 2 diabetes in recent years, the name has evolved. Genetics and family history: If close blood relatives of yours have been diagnosed with diabetes — type 1 or type 2 — you may be at risk. While diabetes is hereditary, family history does not ensure that you will have diabetes. Sedentary lifestyle: A 2013 study, published in the International Journal of Behavioral Nutrition and Physical Activity, found that the more time a person spends sitting during the day, the more likely he or she will be diagnosed with type 2 diabetes. Unhealthy eating: A diet high in saturated fat and refined carbohydrates can lead to type 2 diabetes. Similarly, a diet low in fiber and essential nutrients can increase your risk of developing the condition. Carrying belly fat: If you carry extra weight around the midsection, you have a greater risk of developing type 2 diabetes than if you’re weight is more evenly distributed in the body. Your race: Scientists are not sure why, but Native Americans, African Americans, Asian Americans and Hispanics are at the greatest risk for developing type 2 diabetes. Having a previous diagnosis of gestational diabetes: Women who are diagnosed with gestational diabetes when they’re pregnant are at greater risk of developing type 2 diabetes afterward. Also, when a woman gives birth to a child weighing more than 9 pounds, she is at risk. 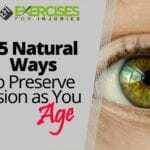 Your age: As you get older, you are more likely to develop type 2 diabetes. After age 45, your risk becomes greater. Being diagnosed with polycystic ovarian syndrome: Women who have polycystic ovarian syndrome are more likely to be diagnosed with type 2 diabetes. Get moving. A sedentary lifestyle is the enemy of good health. If you don’t get at least 30 minutes a day of heart-pounding movement, make a change. Start your morning with a brisk walk or a line-dancing video. Bring your gym shoes with you to work so you can climb stairs during your lunch hour. You can also hit the fitness center on your way home. Increasing your activity level is one of the most important ways you can improve your overall health and decrease your risk of developing type 2 diabetes. Eat better. If you’ve caught yourself wishing you could buy a front-of-the-line pass for the fast-food drive-through on your way home from work, there may be a problem with your diet. Dark green vegetables, fruits, whole grains, and lean proteins should be at the center of your meal plan. Never drink sodas and keep sweets to a minimum. 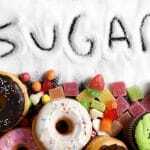 Aim to consume less than 20 grams of refined sugar each day. The way you eat directly affects your health and wellness. Buy those vegetables and make sure they don’t spoil on the shelf in your refrigerator. Value your health enough to eat well. Drop a few pounds. If you’re overweight, especially if you carry most of your weight in your midsection, do what you can to lose the weight. Lots of people at high risk for diabetes have had success with the ketogenic diet. Check out our post about this popular diet here. Others find that just cutting out sweetened drinks and replacing refined carbohydrates with whole grains will help them lose weight. The bottom line is that being overweight is one of the biggest risk factors for developing type 2 diabetes. Avoid this preventable disease by making sure you’re at your ideal weight. Get enough rest and reduce your stress levels. When you aren’t logging enough hours on the pillow each night, your body produces extra cortisol. Cortisol is known as the stress hormone. Too much cortisol in the body will elevate your blood sugar. If you’re not getting enough sleep or operating in a high-stress environment consistently, your blood sugar levels may be consistently high, making you more likely to develop type 2 diabetes. Lower your risk by getting seven to nine hours of sleep each night. See your doctor annually. Often, risk factors and health conditions aren’t diagnosed because people don’t go in for regular, annual checkups. See your doctor at least once a year to have bloodwork done, check your glucose levels and get a physical. A good doctor will help you keep track of your risk factors and stay on top of any health conditions you may be facing. Cinnamon: A study in the Journal of the American College of Nutrition showed that cinnamon stabilizes the blood sugar by mimicking insulin in the body. The researchers concluded that cinnamon affects the body’s endocrine system in the same way as insulin injections. 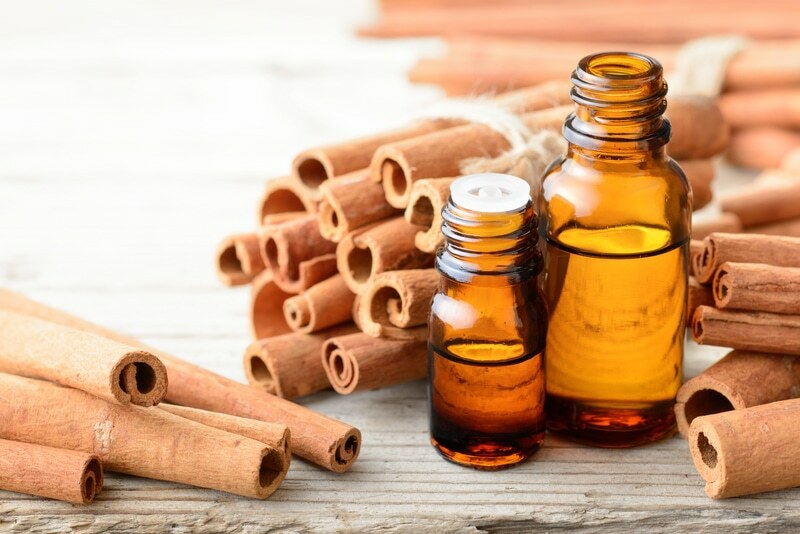 Ceylon cinnamon, also known as true cinnamon, is the type of cinnamon that is particularly effective in treating type 2 diabetes. Fenugreek: Fenugreek is a plant that grows well in India. The seeds of the fenugreek plant are often ground and used in Indian foods and curries. Fenugreek seeds have been studied and shown to help reduce blood glucose levels, increase the number of insulin receptors contained in red blood cells and slow the rate of carbohydrate absorption in the body. Fenugreek is particularly effective and should be used with caution and only under the care of your health care provider. Pregnant women should not use fenugreek. Also, fenugreek can decrease the effectiveness of certain prescription medications. Fig leaves: Many diabetics have found that they need less insulin when they are taking fig leaf extract. It is often advised for diabetics to take the fig leaf extract early in the morning with their breakfasts. Patients can take it by the spoonful or make a tea from dried fig leaves. Nigella sativa: Nigella sativa is an age-old remedy for all sorts of conditions. 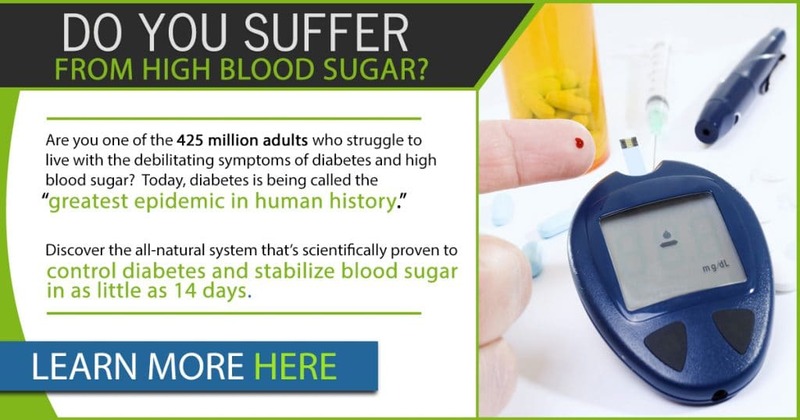 It has been used for centuries to treat diabetes. Nigella Sativa is also known as “black seed” or “black cumin.” The oil of Nigella sativa is the potent medicine. Most diabetics find that it helps to take the oil several times a day. However, use caution with this particular plant. It is toxic in high doses and should only be used under the care of your medical practitioner. Bitter melon: Bitter melon is technically a fruit and often classified as a gourd. The scientific name for bitter melon is Momordica charantia. It has been used for centuries in Chinese medicine. It is also often used in Asian cuisine. Bitter melon contains a compound called charantin. Charantin has been shown to reduce blood glucose levels. There is also an enzyme found in bitter melon that helps the body to use glucose more effectively. Many diabetics have been able to decrease, and in some cases, eliminate their use of prescription medications after drinking bitter melon tea each day with their meals. Use caution, however, as bitter melon is very potent. Using too much can cause a drastic reduction in blood sugar called hypoglycemia. Pregnant women are also not advised to use bitter melon. Always use this treatment under the care of your medical practitioner. The growing number of individuals with type 2 diabetes is of significant concern worldwide. The fact remains that type 2 diabetes is almost always preventable and treatable. Talk with your doctor about natural prevention and treatment for type 2 diabetes.